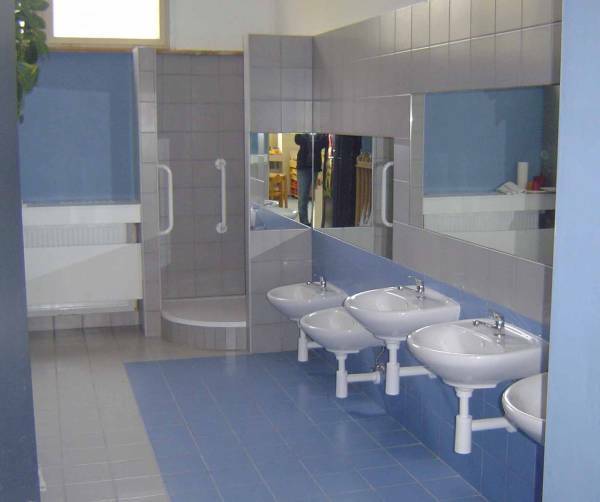 Click on the individual photographs to obtain a full image in a new window. 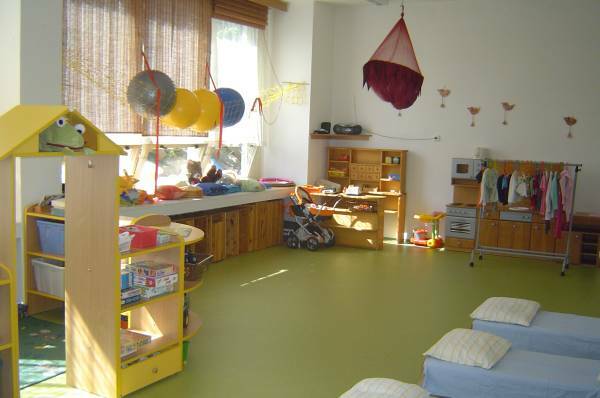 The project of the reconstruction of the Kindergarten Brno - Komin, Rezacova 3, was made by the request of the town council for the reconstruction of unsuitable parts of the Kindergarten within a restricted budget. 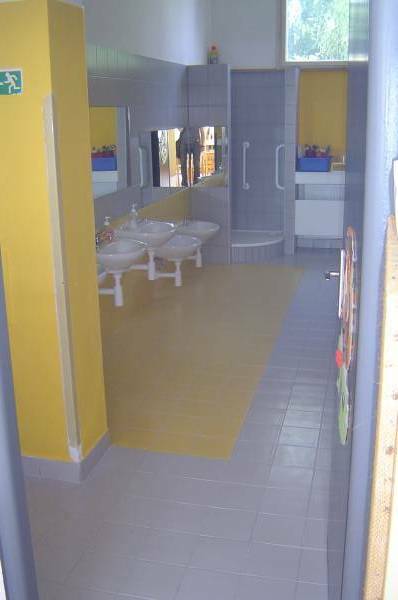 At first the childrens playrooms were reconstructed, washrooms, two toilet rooms and kitchenettes also. 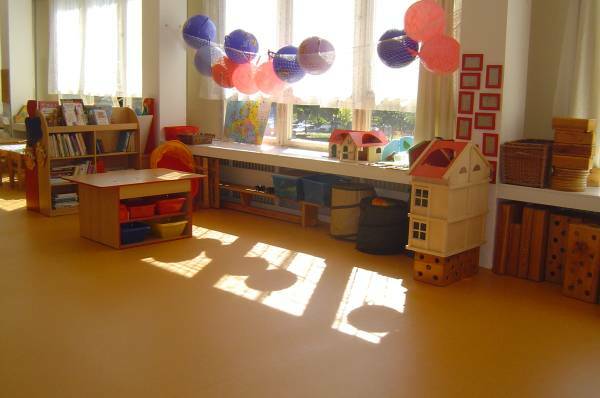 In the childrens playrooms were placed new heavyduty pvc, new windowsills and central heating covers. 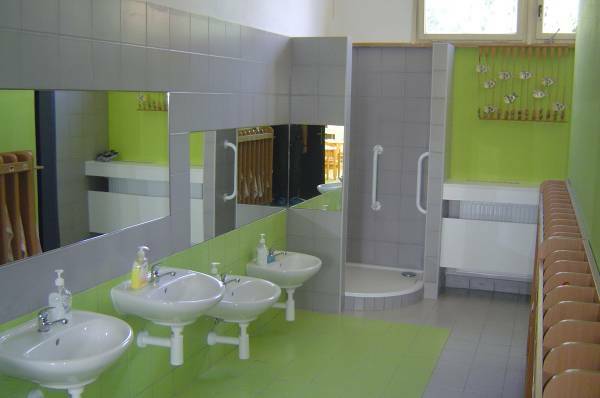 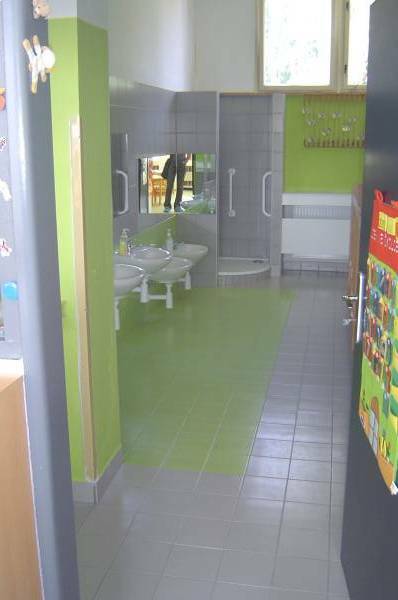 In the washrooms and on the childrens toilets are new tiles, painted walls and sanitary utilities. 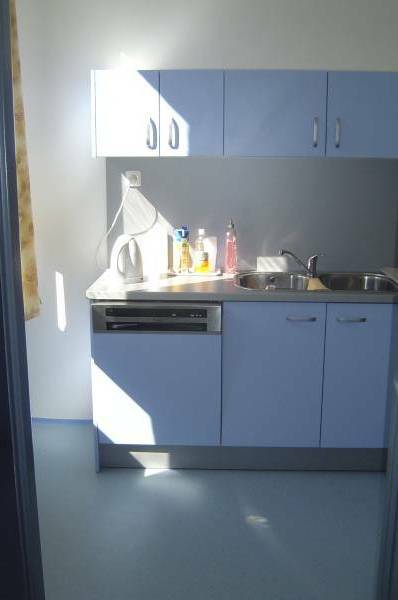 In the kitchenettes are new kitchen units including equipment and washable wall paints. 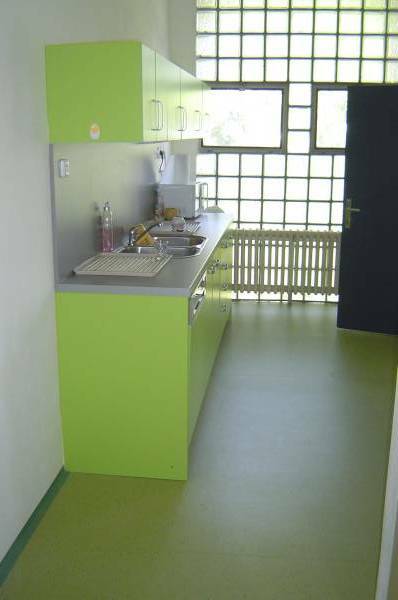 Departments were designed in four basic colours. 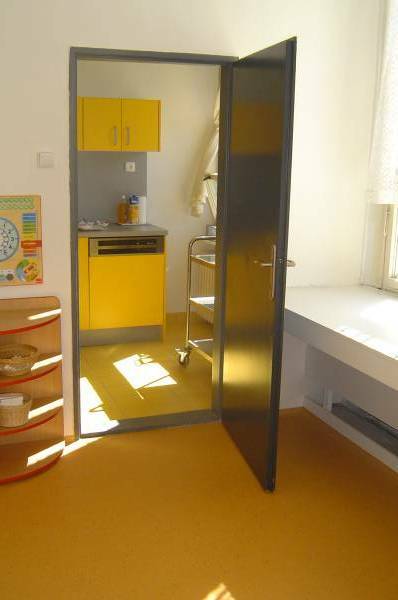 All internal doors were renewed, including new paint of doorframes, all in a dark grey colour.